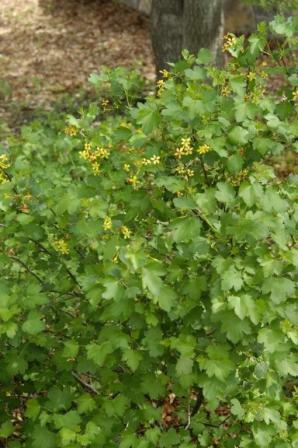 HABIT: Spreading bush with light green, glossy leaves and fragrant yellow flowers in the spring. CULTURE:Easy to grow in most well-drained soils including rocky slopes and ravines. Drought tolerant. Easy transplanted or grown from seed. USES: Yellow spring flowers and fragrance. Edible berries mature in June to August are primarily used for jellies and jams. PROBLEMS: Spreads aggressively but the new shoots can be removed to grow new plants.